TORONTO, July 10, 2018 /PRNewswire/ — Four Seasons Hotels and Resorts, the world’s leading luxury hospitality company, has received the award for the best hotel in the world from Travel + Leisure magazine’s World’s Best Awards for Four Seasons Resort Bali at Sayan, along with broad recognition across its global portfolio of hotels and resorts. Travel + Leisure’s World’s Best Awards honour the top travel destinations and companies around the globe as rated by Travel + Leisure’s discerning audience. 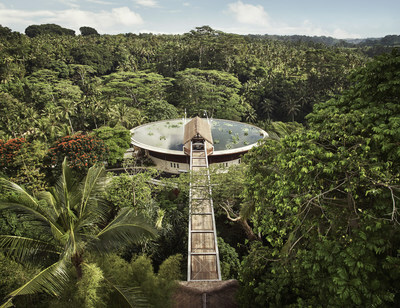 This year, Four Seasons Resort Bali at Sayan has been ranked as the #1 Top Hotel in the World. Since opening in 1998, Four Seasons Resort Bali at Sayan has been highly regarded in industry awards, reader polls and traveller reviews, and continues to elevate its services and offerings to anticipate the evolving needs of luxury travellers. This is the second time that Four Seasons Resort Bali at Sayan has been recognised as the best hotel in the world by Travel + Leisure, having won the award for the first time in 2005. Nestled amongst the tropical forests of Ubud overlooking the Ayung River Valley, Four Seasons Resort Bali at Sayan offers spacious suites and private villas with private plunge pools and breath-taking river and rice-terrace views. The Resort also features a traditional Balinese cooking school, the first custom-designed riverside cooking school on the island; meditation and yoga offerings in the riverside yoga pavilion, led by a wellness mentor and renowned yoga leaders through the masters-in-residence program; and the picturesque rooftop infinity lotus pond with 360-degree views of the surrounding forests and river. Four Seasons earned additional acclaim throughout its global portfolio in this year’s World’s Best Awards, including the #1 Resort Hotel in France for Grand-Hôtel du Cap-Ferrat, A Four Seasons Hotel. Since 1908, Grand-Hôtel du Cap-Ferrat has been considered the jewel of the French Riviera, and since converting to a Four Seasons hotel in 2015, has achieved wide recognition as one of the best hotels in the world. The Hotel features a world-class spa as well as three restaurants, including Michelin-Star rated, Le Cap. Four Seasons Resort Chiang Mai – The Resort is nestled among the terraced rice fields and lush green gardens of Chiang Mai, and features an award-winning spa with ancient Thai treatments and services. Guests can enjoy immersive Thai experiences including embarking on a sensory nature walk through the surrounding rice paddies or chatting first-hand with Buddhist monks. The Resort was also named one of the top Resort Hotels in Southeast Asia. Four Seasons Resort Koh Samui, Thailand – Located on one of Thailand’s most beautiful islands, guests of the Resort are surrounded by crystal-blue waters, sandy beaches and tropical forests, and can enjoy a wealth of leisure and sport activities including a yacht trip through the surrounding islands or learning Muay Thai. The Resort was also named one of the top Resort Hotels in Southeast Asia. Four Seasons Resort Maldives at Kuda Huraa – The Resort is part of Four Seasons collection of properties in the Maldives which also includes the overnight vessel Four Seasons Explorer and Four Seasons Private Island Maldives Voavah at Baa Atoll. The Resort will play host to the world’s most luxurious surfing event in August 2018: Four Seasons Maldives Surfing Champions Trophy. The Resort was also ranked among the top Resort Hotels in Asia. Four Seasons Resort Maldives at Landaa Giraavaru – Perfectly combining an idyllic island atmosphere with innovation and conservation, the Resort is located on a 44-acre atoll within a UNESCO Biosphere Reserve. The Resort was the first to launch personal submarine excursions using the DeepFlight Super Falcon 3S that can take two guests on a sub-aquatic dive to explore the coral reefs and other marine species of the beautiful Maldives. The Resort was also ranked in among the top Resort Hotels in Asia. Four Seasons Resort The Nam Hai, Hoi An, Vietnam – Combining coastal serenity near the ancient UNESCO protected city of Hoi An, the Resort offers services and activities to connect guests with the rich culture of Vietnam, including learning about local cuisine at The Nam Hai Cooking Academy, going on a river tour in a traditional bamboo basket boat, or taking part in a Vietnamese lantern-making class. The Resort was also named one of the top Resort Hotels in Southeast Asia. Four Seasons also ranked as one of the top 20 hotel brands in the world, along with 30 additional rankings in regional categories. For additional awards and accolades received by Four Seasons, please see here. Founded in 1960, Four Seasons Hotels and Resorts is dedicated to perfecting the travel experience through continual innovation and the highest standards of hospitality. ?Currently operating 111 hotels and resorts, and 39 residential properties in major city centres and resort destinations in 46 countries, and with more than 50 projects under planning or development, Four Seasons consistently ranks among the world’s best hotels and most prestigious brands in reader polls, traveller reviews and industry awards. For more information and reservations, visit fourseasons.com. For the latest news, visit press.fourseasons.com and follow @FourSeasonsPR on Twitter. Travel + Leisure is the preeminent voice for the sophisticated traveler, serving up expert intelligence and the most immersive, inspiring travel lifestyle content anywhere. Travel + Leisure captures the joy of discovering the pleasures the world has to offer-from art and design to shopping and style to food and drink-and offers compelling reasons to get up and go. With a total global audience of more than 15 million, the Travel + Leisure portfolio includes the U.S. flagship and four international editions in China, India, Mexico, and Southeast Asia. The U.S. edition of T+L, which launched in 1971, is the only monthly consumer travel magazine in print in the U.S., has an authoritative website, TravelandLeisure.com, and an extensive social media following of more than 13 million. Travel + Leisure also encompasses newsletters and media collaborations.